Newest member of the Elephant Village team! Luang Prabang, Laos – Elephant Village is proud to welcome the newest member to our camp. Mae Khoun Mii, meaning ‘Has Merit’ in Lao, arrived at our camp in Ban Xieng Lom on 21 August 2014. She had faced many years being used as a beast of burden, and at a stately age of 35 years old this means that she does not know much else. Pulling massive logs and moving heavy weight for most of her life, Mae Khoun Mii can now look forward to regular checkups from our in house veterinarian and an ample supply of food. Eating around 250 kg a day, feeding these huge animals is no easy task. However we use a sustainable solution to not only feed our 12 elephants; but also to secure steady employment for the surrounding villages. We employ many of our camp staff directly from the nearby village and also secure the food supply for our elephants from the surrounding farms. This means that we can ensure a varied local economy and can still utilize the farming skills that remain so vital in Laos. 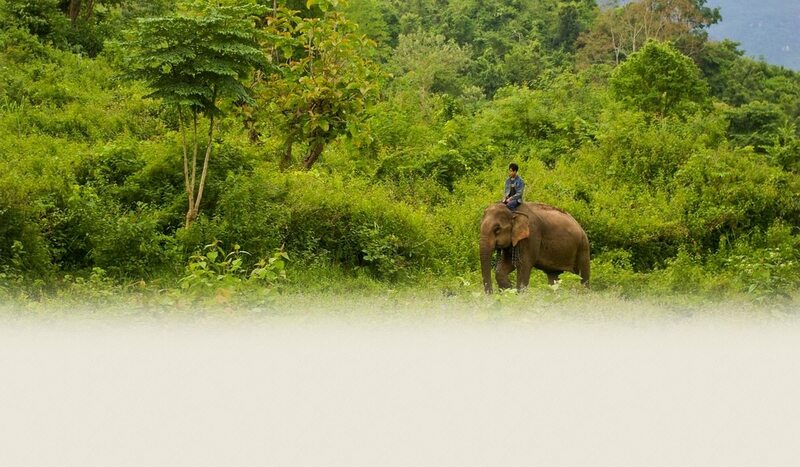 Known as the premier place for elephant riding activities in Luang Prabang, we provide a sustainable business model that ensures the elephants we receive from the logging industry are treated fairly, with respect and can earn their own living to ensure a steady supply of funds without having to rely on donations. By no means a charity, we are always been keen to make our ethical business model well known. We make sure the elephants in their care are treated fed well and looked after by their staff and mahouts. In order to keep the level of care they provide high, we adhere to several, self imposed policies. For example, we only have their elephants working until the early afternoon at the latest, after which they are left to go back into the jungle with their mahouts. They also get regular daily checkups by their vet who stops them working if he suspects any physical or mental problems. We provide ongoing training for their mahouts in the proper handling of their elephants, including strict rules on the use of the hook used to control them. It is a sad fact that the use of elephants is still a large part of the logging industry in Southeast Asia. Even though a ban on capturing wild elephants for this use is strictly enforced, the remaining elephants are still worked hard. It is also a true that the days of elephant herds freely roaming about in the jungle are almost at an end due to the combined effects of urbanization and logging. The amount of damage a herd of elephants can do is only really understood when one can see their massive size in person. Letting them roam about would only cause more damage than good and would still result in the deaths of the elephants by villagers killing them to keep them away from their farms and homes. In order for us to find alternative employment for these elephants, we have to find mahouts willing to bring their elephants away from logging and into the much easier and less stressful work of tourism. This involves coming up with a price that reflects what a mahout could make if they were still logging. But due to increasing commodity prices of timber from the fast developing countries in the region, these costs can sometimes be prohibitive. 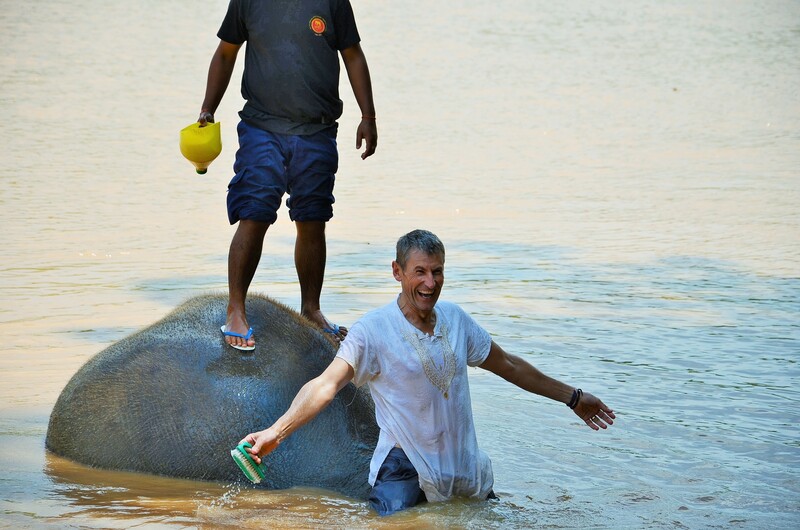 It is for this reason that they are so happy to announce the arrival of Mae Khoun Mii, because it means that there is now one less elephant working itself to exhaustion and instead, spending her time getting looked after and washed regularly in the Namkhan River by our guests!